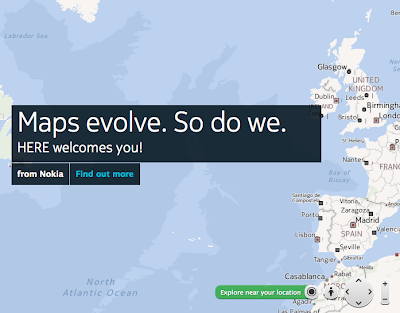 At an event in San Francisco, Nokia unveiled their rebranded mapping service, which is now called HERE. 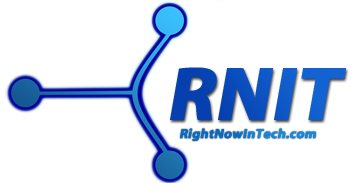 It is currently live at HERE.net and usable through any browser (even mobile ones without an app). HERE maps has significantly improved the existing maps Nokia had with features similar to that of Google Maps and Apple's Maps in iOS 6. They have also announced apps for iOS and Android platforms, while it is currently available on Nokia phones running Windows and some newer editions of Symbian. Having acquired the company known as EarthMine, Nokia is using their technology and data to create a feature called Street Level, which is the HERE maps counterpart to Google's Street View, which is available in some major US cities and some in Europe currently. It also has a 3D maps feature, similar to the new Google Earth and Apple's Flyover feature. This feature is currently available in several cities in North America, Africa and Europe. HERE integrates with a user's Nokia account, so personalized settings can be synced between their phones and the cloud. There is a "Collections" feature that allows one to "collect" places and see them on all their devices. Additionally, HERE also has some functions that allow users to sync maps for offline use. HERE is even touted as a community-edited map. There is a Map Creator feature that is not complete yet (though available in many countries), which allows users to make edits to maps. This service is supposed to be less taxing on local hardware and should have low bandwidth requirements, according to Nokia. What I like best about HERE is the public transit navigation features (which seems to work well in my city) that it will bring to iPhone. Apple's Maps are currently seriously lacking in that area. HERE is releasing in the next few weeks on Android and iOS as well. Moreover, they will also support Mozilla's Firefox OS, which is not in any real use anywhere right now. 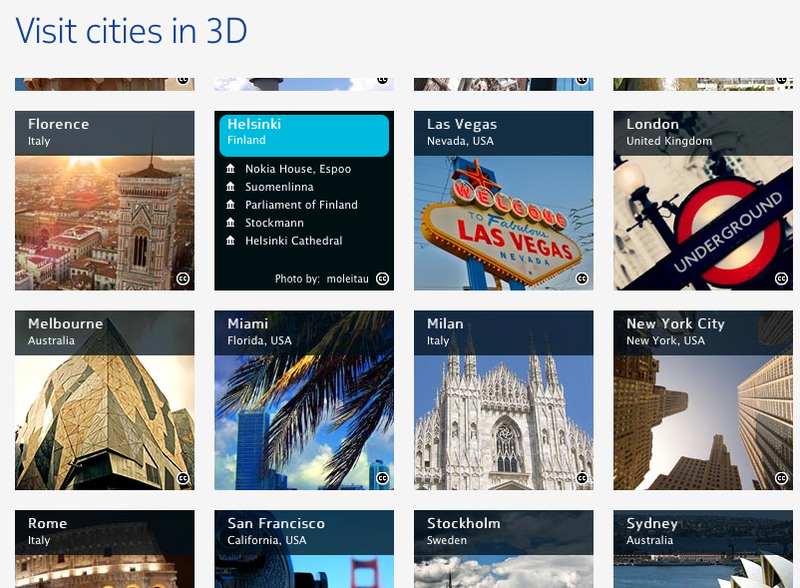 But when it releases, Nokia will be helping it by offering their mapping service. The Windows Phone app takes up about 2.2 GB of storage space, but we don't know yet how big it will be on the other platforms.